Young Greek Doctor, Stefanos Tsallas recently climbed the highest mountain in Africa, Mt. 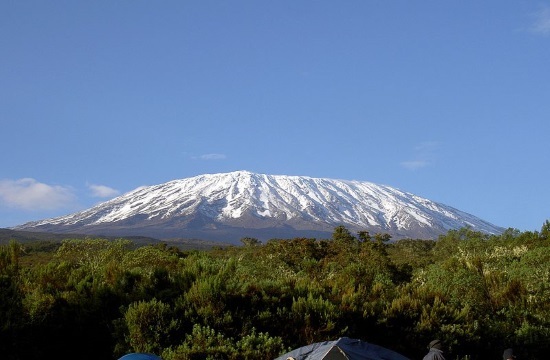 Kilimanjaro to raise funds for the international humanitarian medical non-governmental organisation, ‘Médecins Sans Frontières’, Lifo.gr reports. Médecins Sans Frontières, also known in English as Doctors Without Borders, “delivers emergency aid to people affected by armed conflict, epidemics, natural disasters and exclusion from healthcare. MSF offers help to people based on need, irrespective of race, religion, gender or political affiliation”, according to their website. Stefanos created an online fundraising platform, so people all around the globe could read about his mission and donate. His goal, to raise over € 12,000. The thirty-two year old, along with twenty-four other people conquered Africa’s tallest mountain, under very difficult conditions to reach their goal. Stefanos said that the most difficult part was not the limited canned food they took, but the low concentration of oxygen in the mountain, which could cost the climbers their lives. On January 1, 2019, Stefanos and his fellow climbers reached the top of Mt. Kilimanjaro. This is not Stefanos’ first time working with Doctors Without Borders, in 2017 he left his Masters degree in plastic surgery where he was studying in London, to help refugees in Lesvos. After returning from conquering the highest mountain in Africa, Stefanos has returned to the small village of Kissos in Pelion, Thessaly working as the village doctor for the local residents. The young doctor’s ultimate dream is to work in the plastic surgery hospital for Doctors Without Borders in Amman of Jordan.